The first track of the United Bakery Records Revue is a gong—a 12-second fade in and out of a resonating brass “bonggg.” It served its purpose and drew my attention as the Tumbling Wheels “Cold Bed” kicked in with brushed drums, clean vocals and soft reverbed strings—a good, easygoing song that drew me into the showcase of artists. United Bakery Records is an independent record label put together by local artists and performers Liam Conway, Daniel Grey, Lauren Miller, Galen Cassidy Peria and Shane Sayers. The goal of the label (in part) is to help the local artists they love. 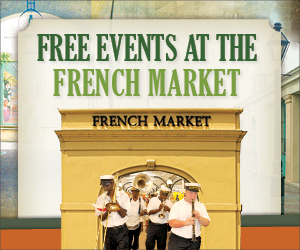 Their first Revue, Music from New Orleans, is a top-notch showcase of newly recorded tunes. Kei Slaughter’s “Land Loss” has a great pocket built on bass, guitar and drums played with brushes. Nobody’s trying too hard, making it sound easy to build such a nice groove. It all leaves room for Kei’s (pronounced Key) vocals to move in their rhythmic patterns over the beat. It’s not often we get a chance to check out a batch of new music from new musicians this well curated. Add to that, these bands are actively playing around town, so, when you really like a tune—say perhaps, Shane Sayers’ “Crucifixion Avenue”—you can then go see him live and check out all of his other awesome songs. 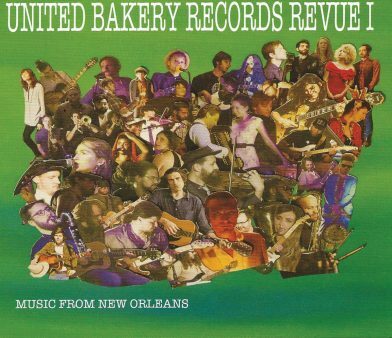 Get hip and take the time to check out United Bakery Records Revue. I really loved the chance to hear new local music and I hope the folks at United Bakery continue their endeavors.